Choluteca, Honduras – Anthony Guardado, was a young entrepreneur with many dreams and desires to excel, but had few skills and comes from a very poor family. This is a typical situation in Choluteca, Honduras. This young single adult learned about the Church of Jesus Christ of Latter-day Saints and joined it. He eventually decided to go and serve a full-time mission. When he returned from his Guatemala Mission to his native Choluteca, he was a man with a desire to succeed in life, and he encountered a reality that he had not anticipated. He faced the difficulty of not having any good educational background to allow him to get a job in a good company. In fact, he only went to primary school and this educational level was a true challenge for him. This situation did not encourage him to have the desire to study, help his family or to get marry and have his own family. He perceived the situation much more difficult. Before leaving on his mission, he was just a teenager with a lot of needs which his family and friends were willing to help him fulfill. 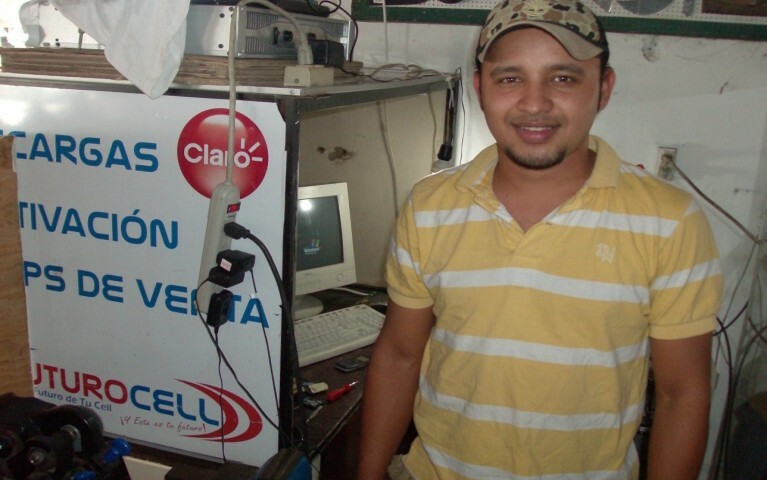 Lifting Generations in Choluteca was a resource for him within the area of technical trades, and he was offered to enroll in Cell Repair workshop. With this new technical knowledge acquired, Anthony was able to find a job as a cell phone repair technician in “FUTUROCELL”, a company that sells cell phones. His dream of getting married finally came true. With his wife’s financial contribution, he is really close to achieving his goal of buying his own home. Because of his courage and perseverance, Anthony has become a Lifting Generations star client.